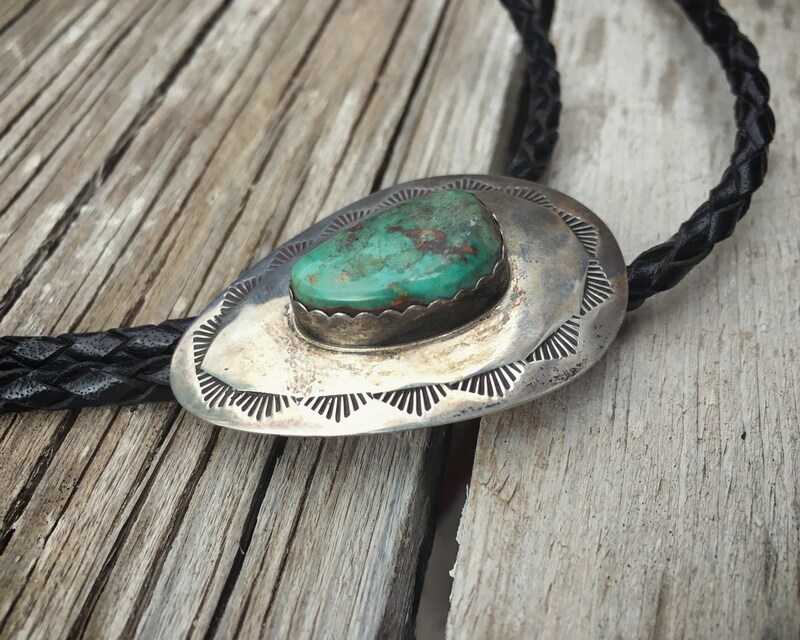 Here we have an older bolo tie that stands out for the beautiful piece of green turquoise with mother stone matrix set inside a wide sawtooth bezel and set upon a stamped sterling silver concho that replicates the shape of the turquoise. 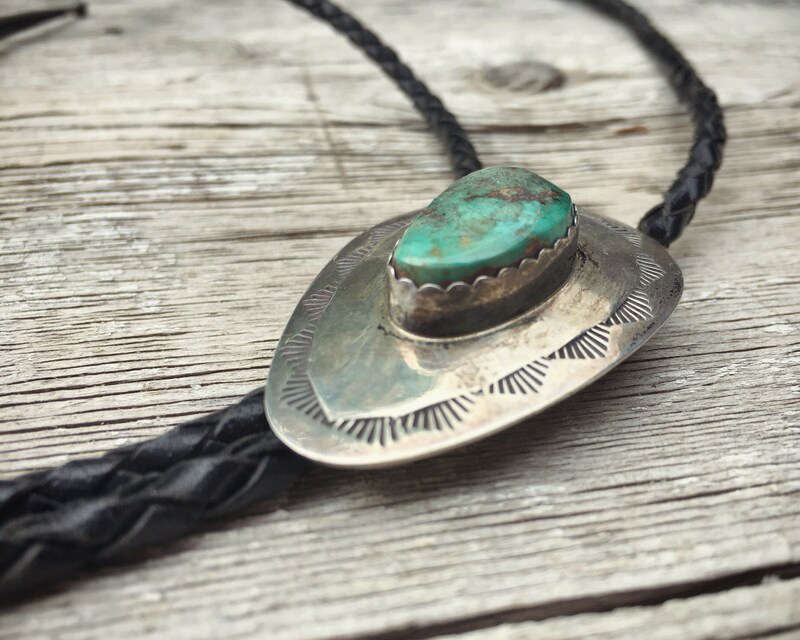 A simple and humble design, striking in its simplicity. 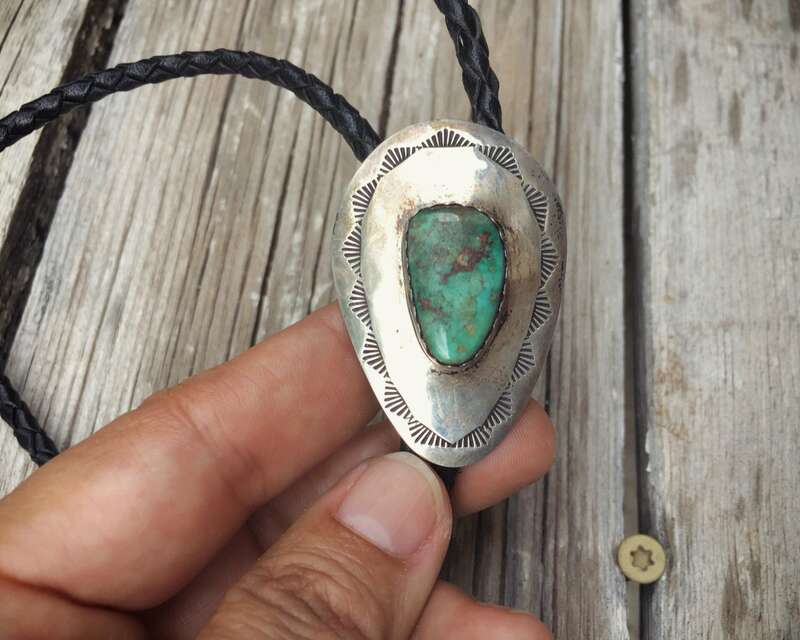 And yes, that turquoise stone! 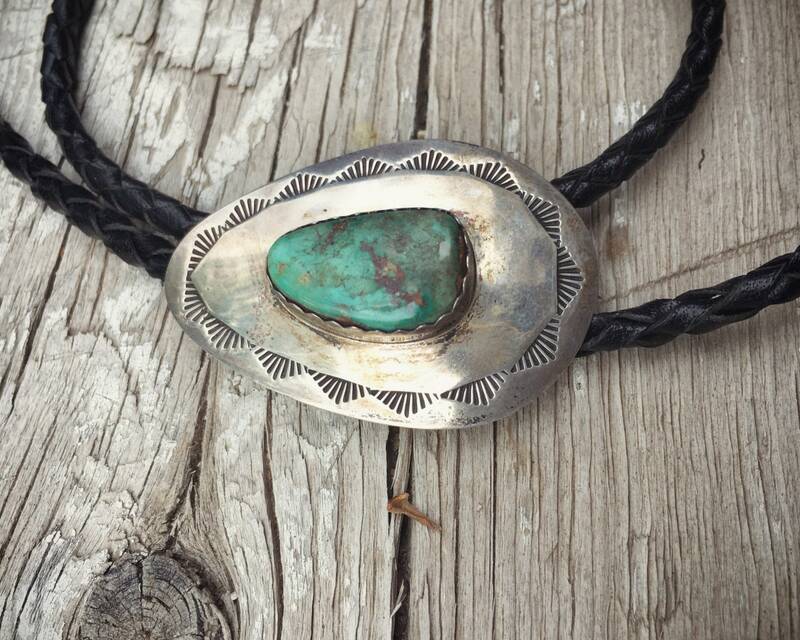 On the back under the lariat carries the hallmark M. Begay, possibly for Navajo Marc Begay. 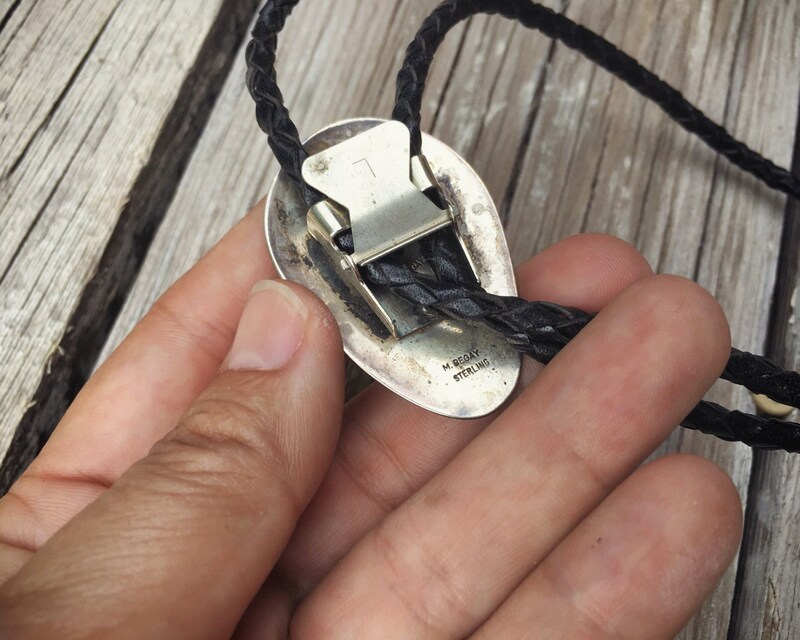 It has a Bennett clasp that is marked L, which is simply an indication of the thickness of lariat cord to use with the piece. 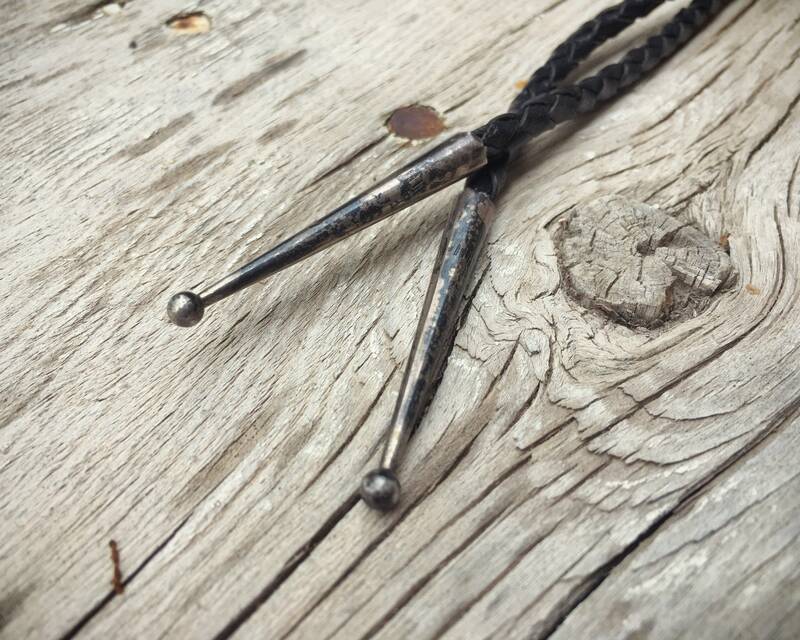 Speaking of which, this bolo tie was stored away for years in a drawer, and the leather lariat is quite bent and stiff. 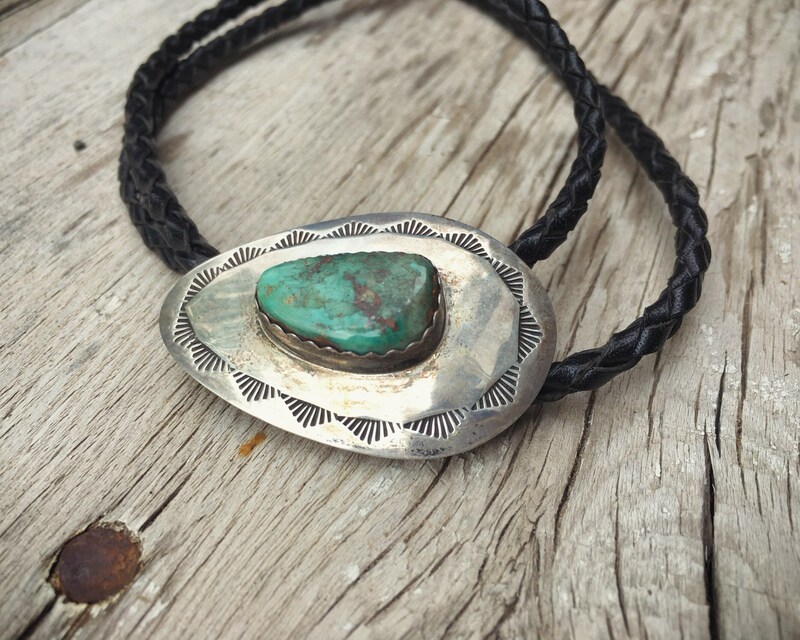 My trick for getting out the kinks is to hang the bolo by way of storing it, which I will do. 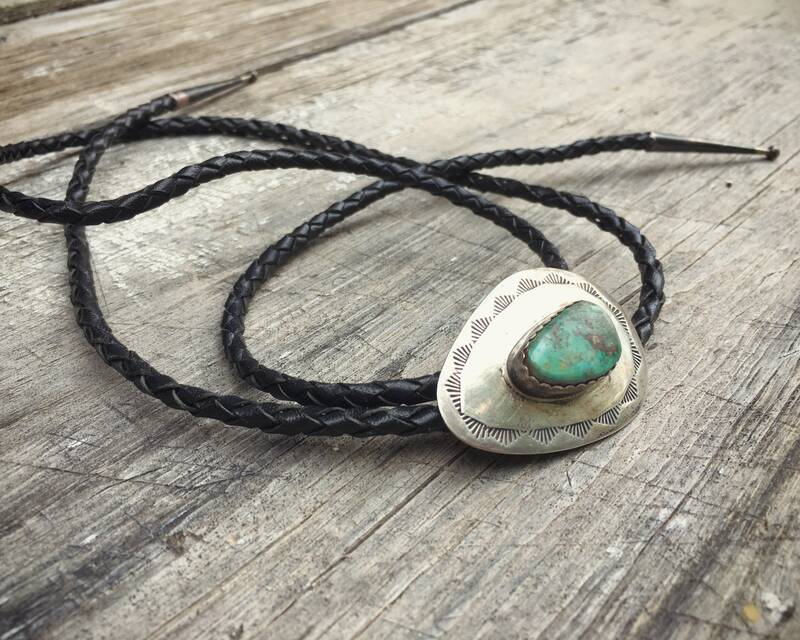 But if you want to use the bolo tie yet don't like that it is still bent, we could look at replacing the lariat with one that is more supple and prone to hanging straight. Let me know and for a nominal fee, we can do that. 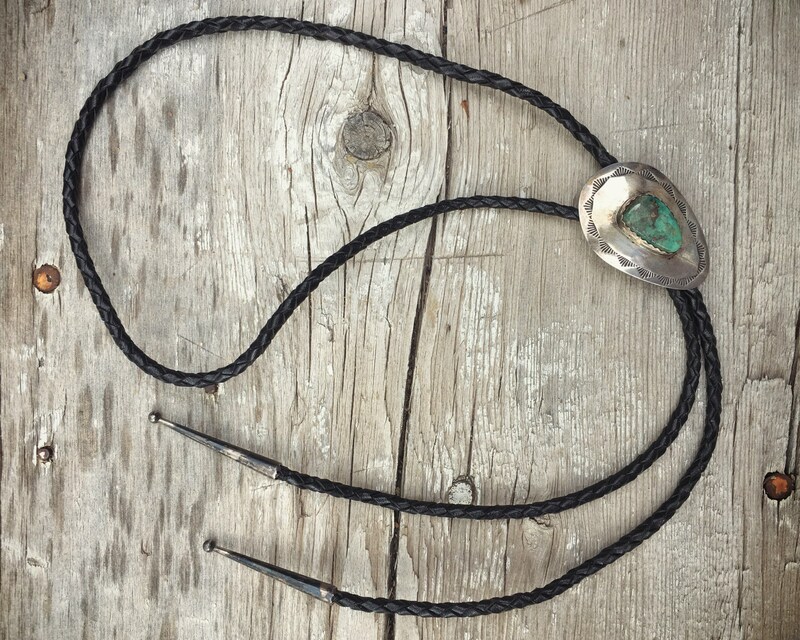 The bolo "slide" (the main part of the bolo tie) measures about 1-1/4" wide at the widest point by 1-7/8" long, with the turquoise cab being about 3/4" long at the longest point by 5/16" wide. I've lightly polished the tarnish, and I will leave it to the new owner to determine whether and how much to clean. 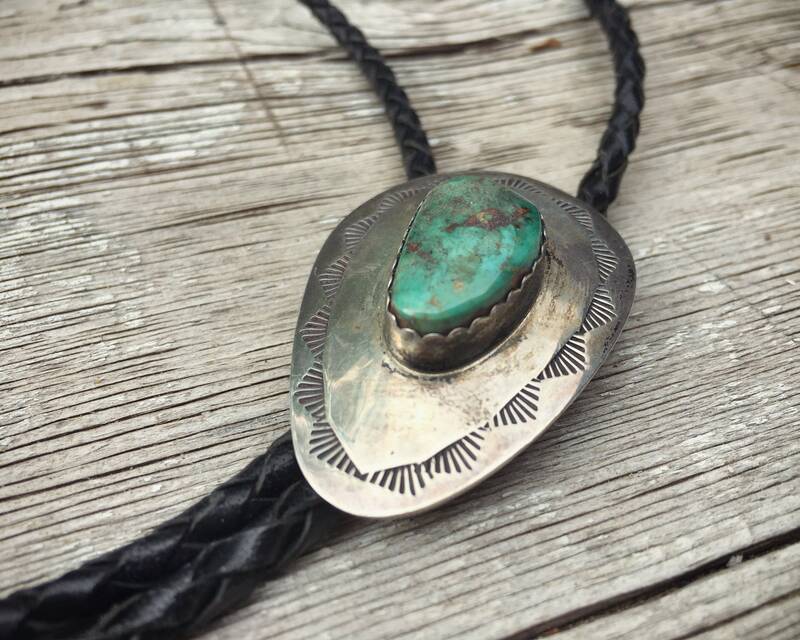 Because some of the best pieces of art are the least flashy.